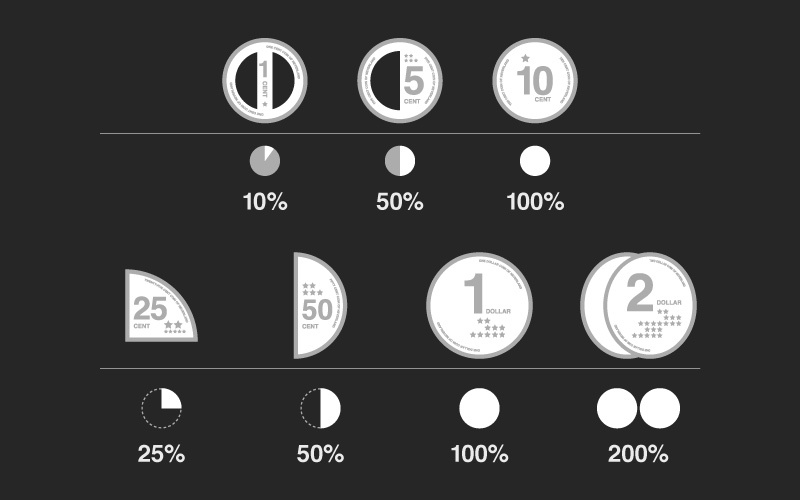 Simple visual cues tell anyone who can or cannot readily understand the local language what the relative value of each ‘pie piece’ coin is. 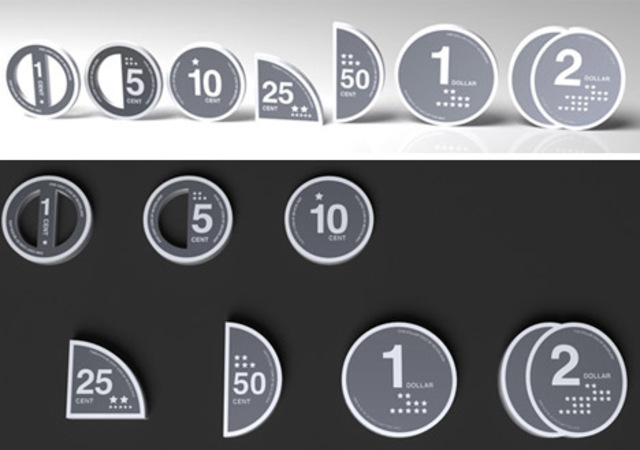 While other security features would clearly be needed, the simplification of overall style also increases legibility and ease of comprehension, not to mention contributing to more accessibility for travelers. Now that’s change we can all believe in. 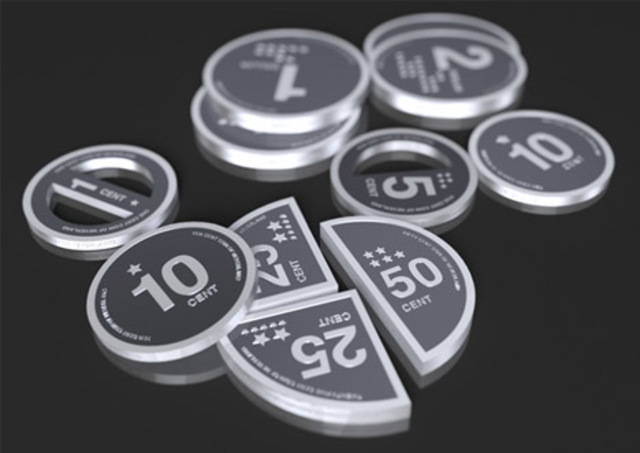 These so-called ‘infographic coins’ by Mac Funamizu have obvious benefits to the blind, much like the Euro, as sizes, shapes and textures all play a role in the legibility of coins. 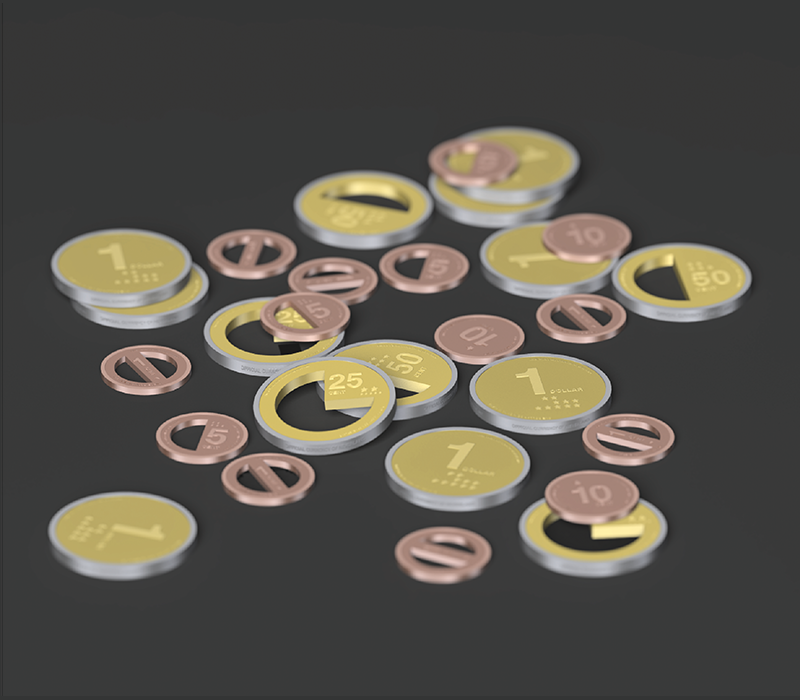 Impaired or not, anyone reaching into their wallet or purse would likewise be able to more easily identify each coin denomination by touch. Are we likely to give up on our standard circles? Perhaps not, but at least rethinking our (United States) hodge-podge system with inconsistent sizes, colors and weights might be worth doing after so much time with so little design change.